easy food, life's too short to stuff a mushroom. Firstly, Happy New Year Internet! 🙂 Secondly, this is my first ever post in 2013. Been busy during this school holidays that I (again) neglected this blog. But, I am back now with bit spicy recipe of crab. It’s just the season of crab in my household. Hubby and my boys were out crabbing twice so far and every time they would bring home some fresh crabs for me to cook. 6 – 8 crabs, cleaned. Clean / rinse crabs. Cut the crab body into 3-4 pieces, cutting between legs and claws (leave legs and claws attached to the body pieces). 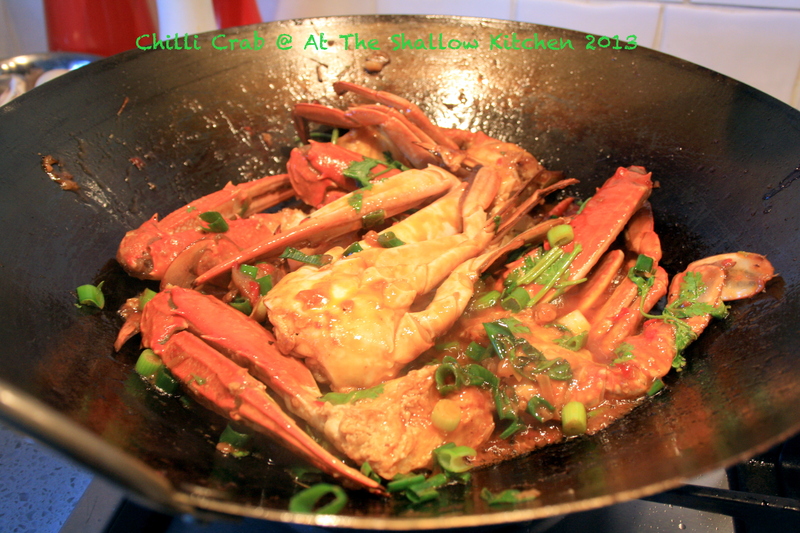 Heat oil in wok, add crab pieces, and fry until shell is beginning to turn bright red. Set aside. Meanwhile, using blender, blend together chillies, shrimp paste, lemongrass to a paste. Set aside. Depending on the size of your pan or wok, it may be easier to complete recipe in batches. In a large flat pan or using wok, heat oil, add shallots, garlic and ginger. Cook 2-3 minutes or until soft. Add chilli/shrimp paste combination and cook further 1-2 minutes (until fragrant). Add crab pieces toss to coat in paste. Add chicken stock, tomato sauce and sugar, stir to combine. Bring to a simmer, cover and cook 7-8 minutes. Flesh should be tender and only just cooked through. If needed adjust consistency of the sauce, with a little water or stock. Remove cover, add green onions and coriander and lime juice. Posted on January 21, 2013 by ohdearria. This entry was posted in seafood and tagged crab. Bookmark the permalink. The other day DH and my boys and friends caught some crabs. So, chilli crab on the menu for dinner. 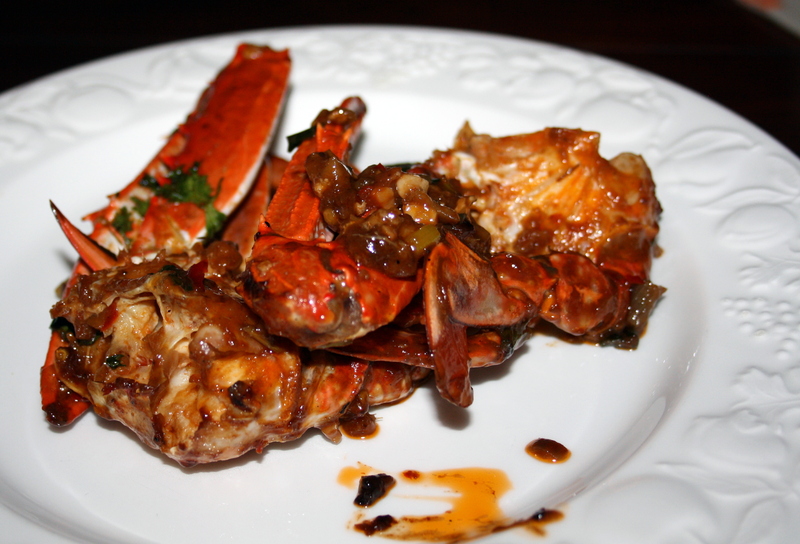 This old recipe of Singaporean chilli crab is always handy so that’s why I reblog again and thought it would be useful to share too. If you have an ant problem in your kitchen, try spraying your benches with peppermint oil. When cooling cake layers, place bread slices on top to keep the cake layers soft and moist while the bread becomes hard as a rock. it keeps it from cracking in the middle too! Must keep this in mind.